Colors Green ripen to a shiny shade of black. Shapes Shiny, black berries size like small cherry and approximately 1.5 centimeters (0.59 in) in diameter. tropa belladonna, commonly known as belladonna, devil’s berries, beautiful death, deadly nightshade Naughty Man’s Cherries, Divale, Black Cherry, Devil’s Herb, Great Morel, Dwayberry, sorcerer’s berries, murderer’s berries, witches berries, is one of the most toxic plants native to Europe, SW Asia and NW Africa. It is a member of the nightshade (Salonaceae) family), which also includes eggplant, tomatoes, potatoes, and chili peppers. Its species name belladonna means beautiful lady in Italian. It is typically found in woods and thickets, but is also often found in disturbed areas, waste places, and roadsides where it typically spreads rapidly in a weed-like manner. It has naturalized in certain parts of the U.S., mostly in dumps, quarries and disturbed ground in parts of New York, Michigan, California, Oregon and Washington. 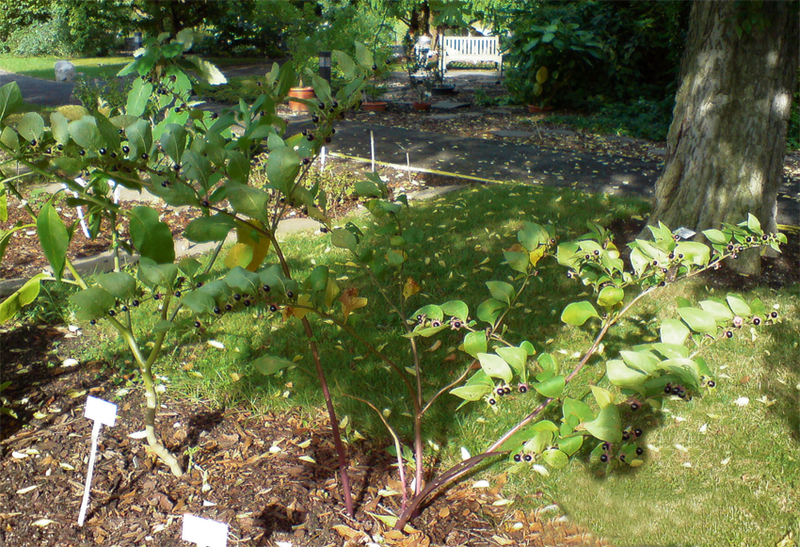 Foliage and berries are extremely toxic, containing tropane alkaloids. These toxins include atropine, scopolamine and hyoscyamine, which cause a bizarre delirium and hallucinations, and are also used as pharmaceutical anti-cholinergic. The herb when prepared and handled properly did have some valuable effects that could be considered “beneficial” for human health. 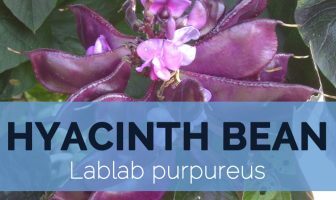 Tinctures, decoctions, and powders derived from the belladonna plant have been in use for centuries, but due to the extreme toxicity of the plant, it is always recommended that you consult an herbalist or a medical professional before pursuing this ancient remedy. Belladonna is a branching herbaceous perennial rhizomatous hemicryptophyte plant that grows often 1-1.5 m (occasionally up to 2 m) in height. The plant thrives in humid temperate climates to highly arid climates; they prefer mostly semi-arid climates and grow well in damp soil. Roots are branched, thick, fleshy, and white in color and about 15 cm or more in length. 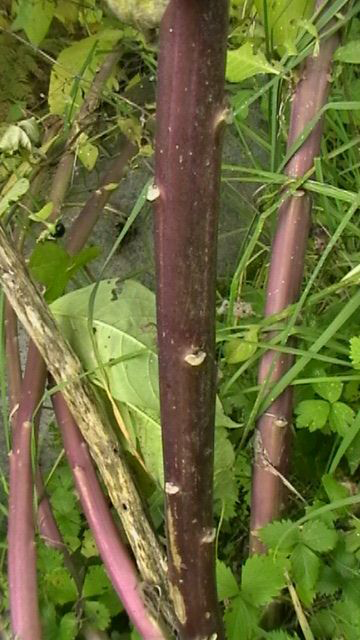 It has a purplish stem that is densely covered in short, fine hairs. The fresh plant, when crushed, exhales a unpleasant odor, almost disappearing on drying, and the leaves have a bitter taste, when both fresh and dry. 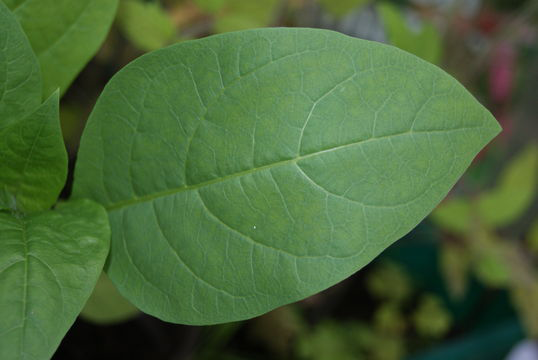 The leaves are dull, darkish green in color and of unequal size, 3 to 10 inches long, the lower leaves solitary, the upper ones in pairs alternately from opposite sides of the stem, one leaf of each pair much larger than the other, oval in shape, acute at the apex, entire and attenuated into short petioles. Flower appears singly, in the axils of the leaves, and are of a dark and dingy purplish color, tinged with green, large (about an inch long), pendent, bell-shaped, furrowed, the corolla with five large teeth or lobes, slightly reflexed. Flowering normally takes place in between June and September. 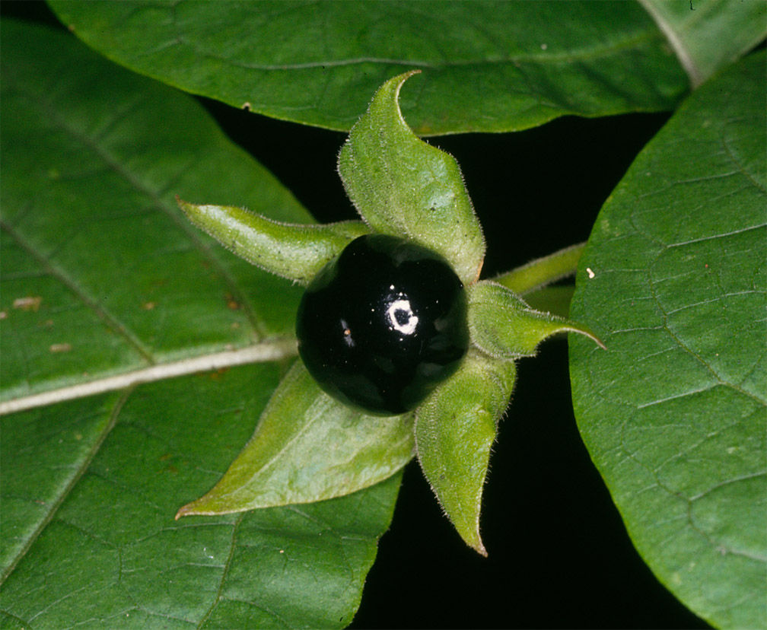 The Belladonna plant produces shiny, black berries size like small cherry and about 1.5 centimeters (0.59 in) in diameter. It is full of sweet, dark, ink-like juice. They are green when young turning to shiny shade of black as they mature. They have sweet taste and consist of hundreds of seeds that look similar to tomato seeds. The berries are often consumed by animals as a way of seed dispersal despite their toxicity to humans. 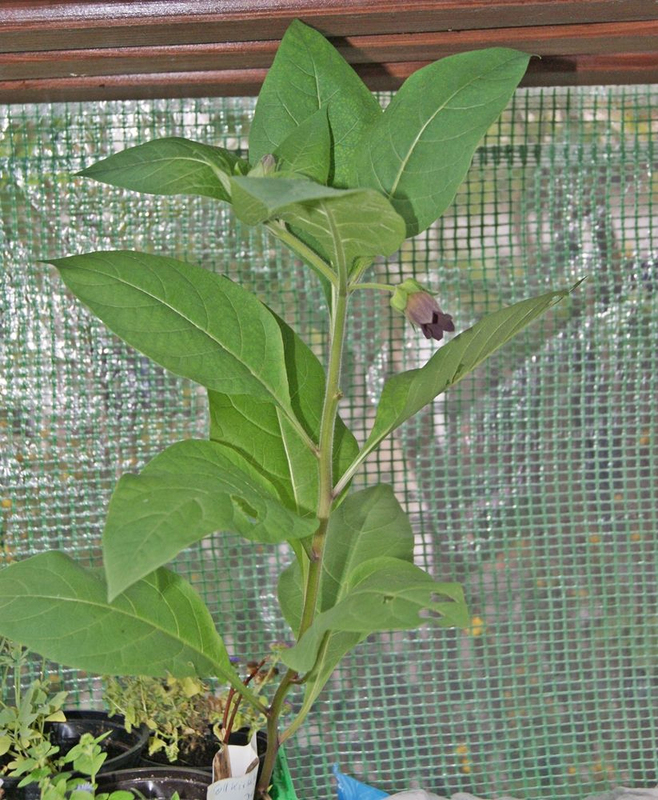 Atropa belladonna is native to south central Europe, northwestern Africa, and southwestern Asia. The distribution limits are between 32° and 55° N latitude, from sea level in the north of its range (e.g. England) to 1700 m or more in the Mediterranean region. It primarily occurs in areas with well-drained, calcareous soil and shaded woodland habitats, but can also occur on dry, sunny scrubland sites. It has been introduced and naturalized in a few other areas, and is occasionally found as a weedy species north to southern Scandinavia. Continuous irritation of the Vagus nerve is a common cause of persistent hiccups. Though hiccups seem to be a mild disorder, it may cause severe discomfort. It also causes pain in the chest and abdomen due to the constant twitching of the diaphragm and the muscles in these regions. 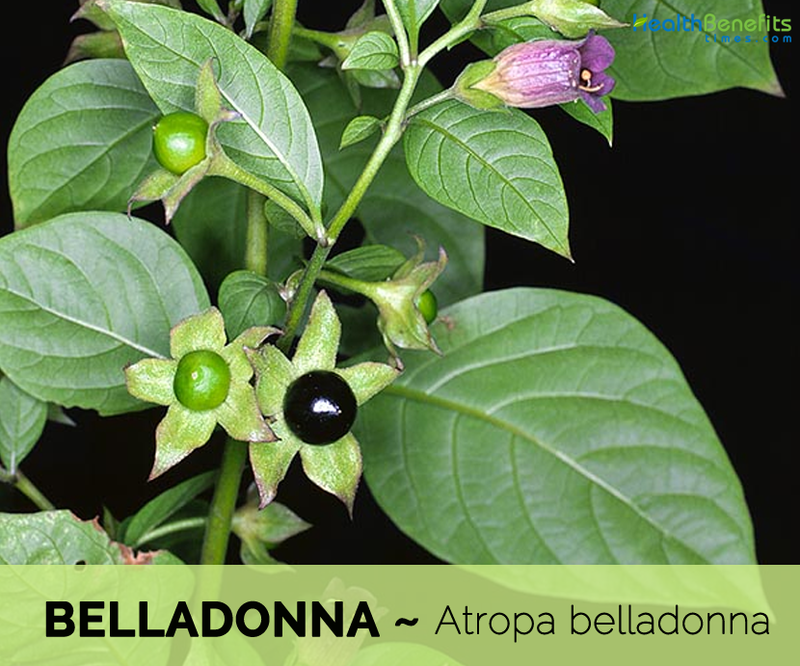 Atropa belladonna can help to reduce the bouts of hiccups by producing a soothing effect on the diaphragm. It also reduces the irritation of the nerve. It relaxes the muscles and prevents continuous twitching thus relieving hiccups. 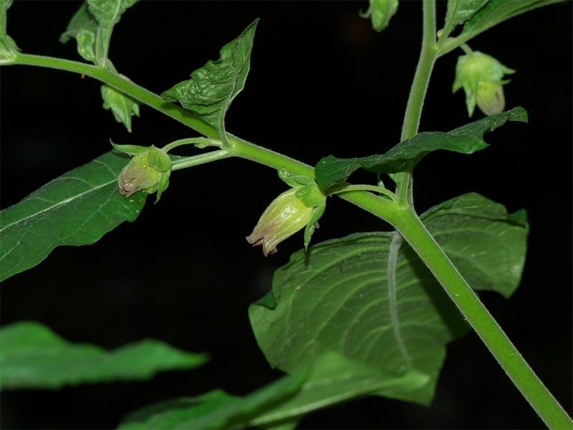 Belladonna is an effective cure for the management of fibromyalgia. It possesses muscle relaxant property. It helps to reduce the spasm of the muscles and relieves pain and muscular stiffness. It can also be used to obtain relief from muscle cramps. 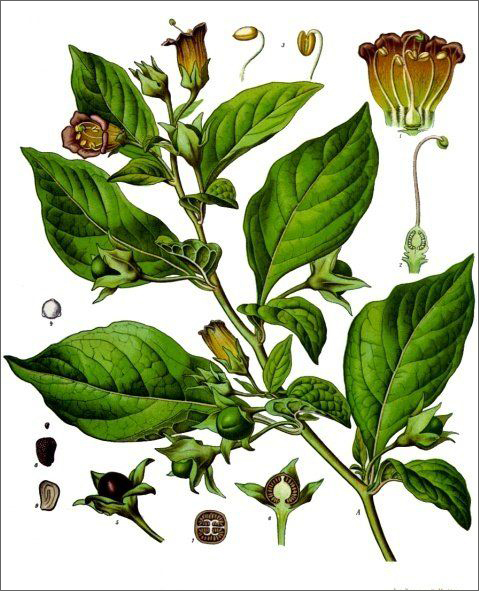 Belladonna Extract was used as an eye drop by women to dilate the eye pupils and look seductive. It is used to dilate the pupils in eye operations, to relieve intestinal colic and to treat peptic ulcers. The plant can be used to treat the symptoms of Parkinson’s disease, reducing tremors and rigidity whilst improving speech and mobility. It has also been used as an antidote in cases of mushroom or toadstool poisoning. All parts of the plant are analgesic, antidote, antispasmodic, diuretic, hallucinogenic, mydriatic, narcotic and sedative. An extract of the plant has been used as eye drops. Whole plant, harvested when coming into flower is used to make a homeopathic remedy. This is used especially in cases where there is localized and painful inflammation that emits heat. It is also used to treat sunstroke and painful menstruation. It is used for Parkinson’s disease, colic, motion sickness, and as a painkiller. It is also used in plasters for treating psychiatric disorders, a behavior disorder called hyperkinesis, excessive sweating (hyperhidrosis), and bronchial asthma. It is used in hemorrhoid suppositories. It is beneficial for curing oral problems like toothaches and mumps. This species has been found to be effective in removing PCB’s from the soil and detoxifying them. 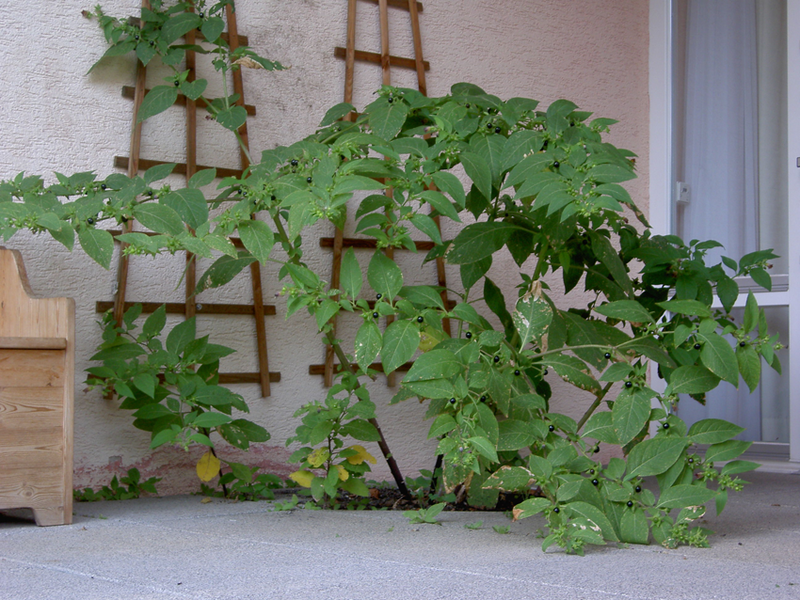 The plant is more effective in doing this if it is infected with the bacterial parasite Agrobacterium tumefaciens. The whole plant, and mainly the root, is very poisonous. Even handling the plant has been known to cause problems if the person has cuts or grazes on the hand. It might cause rapid heartbeat (tachycardia) and might make CHF worse. It might make constipation worse. It might make esophageal reflux worse. It might increase the risk of overheating in people with fever. It might make stomach ulcers worse. It might slow emptying of the intestine, causing retention of bacteria and viruses that can cause infection. 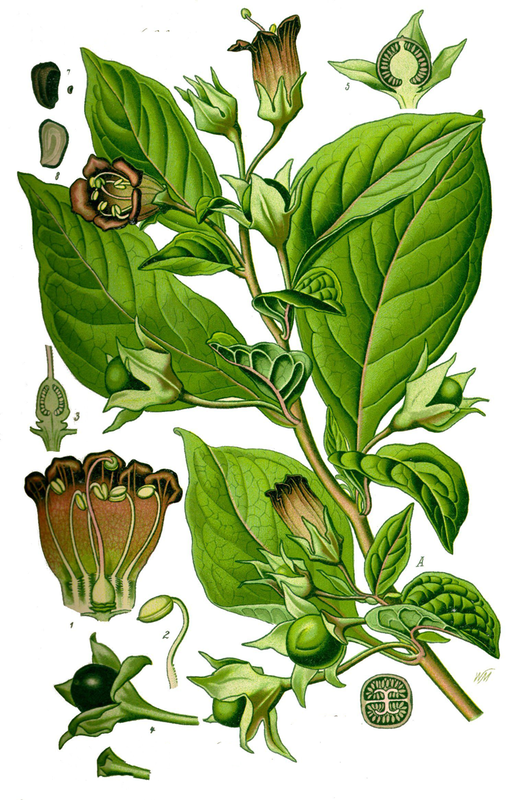 Taking large amounts of belladonna can increase blood pressure. This might make blood pressure become too high in people with high blood pressure. 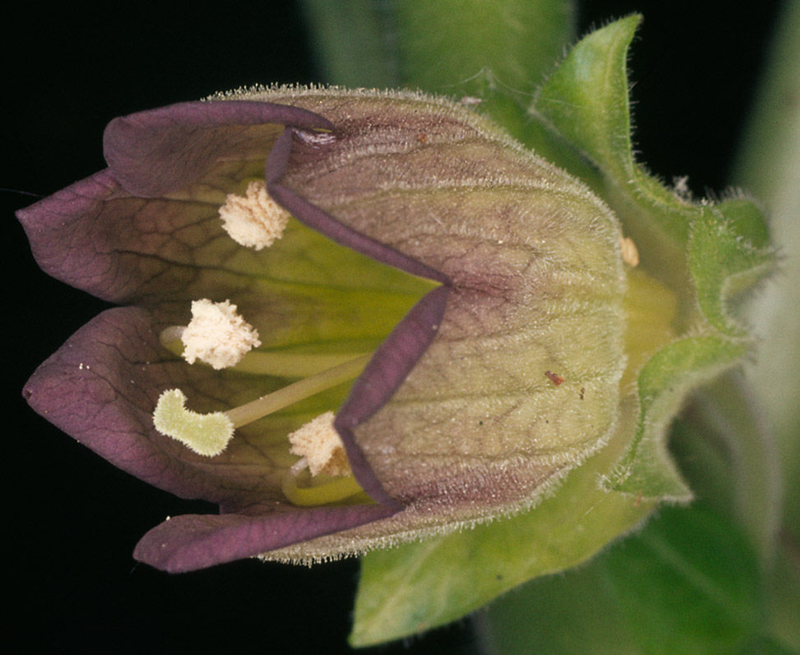 Belladonna might promote complications of ulcerative colitis. It may make urinating difficult and can lead to urine retention. 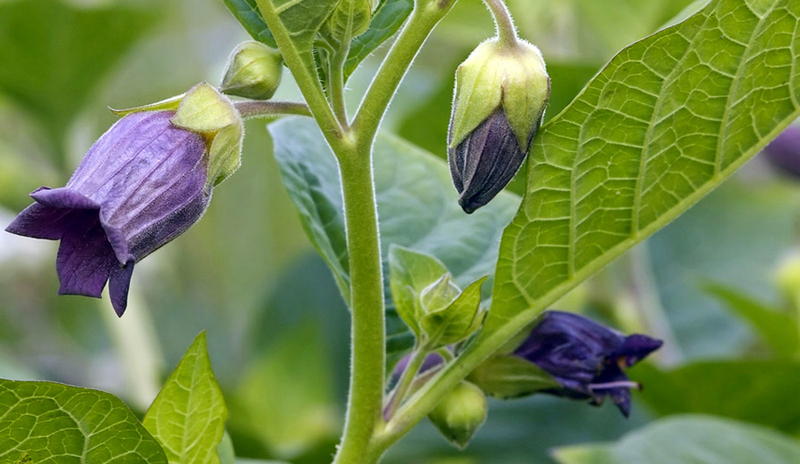 Dosage of Atropa Belladonna (Deadly Nightshade) depends on the parts and derivatives used in the different systems of medicines. Here are some examples of belladonna dosage for your references. Growing Climate Thrives in humid temperate climates to highly arid climates, they prefer mostly semi-arid climates. Root Roots are branched, thick, fleshy, and white in color and about 15 cm or more in length. Leaf Broad, dark green ovate leaves (6-20 cm long) which are formed in uneven pairs, one leaf in each pair being much larger than the other. Lower leaves are solitary and upper leaves are in pairs of unequal size. 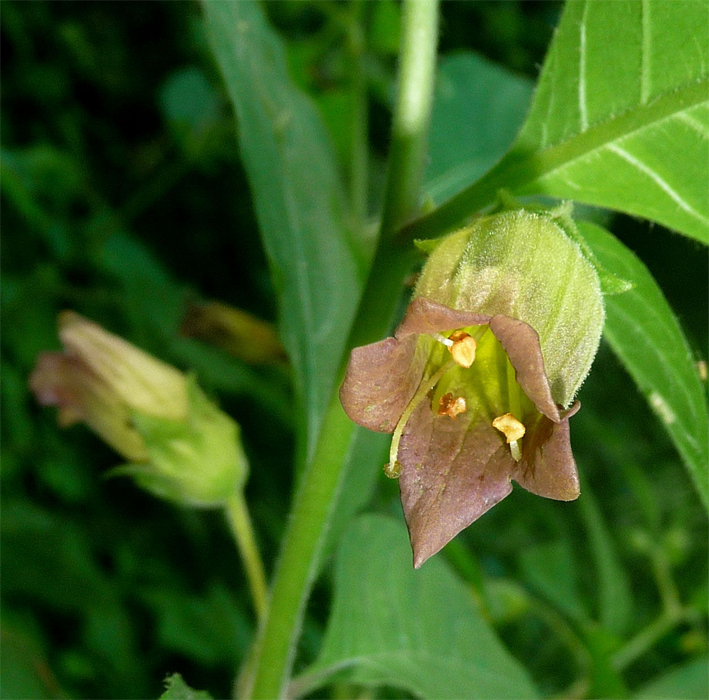 Flower Appears singly, in the axils of the leaves, and are of a dark and dingy purplish color, tinged with green, large (about an inch long), pendent, bell-shaped, furrowed, the corolla with five large teeth or lobes, slightly reflexed. 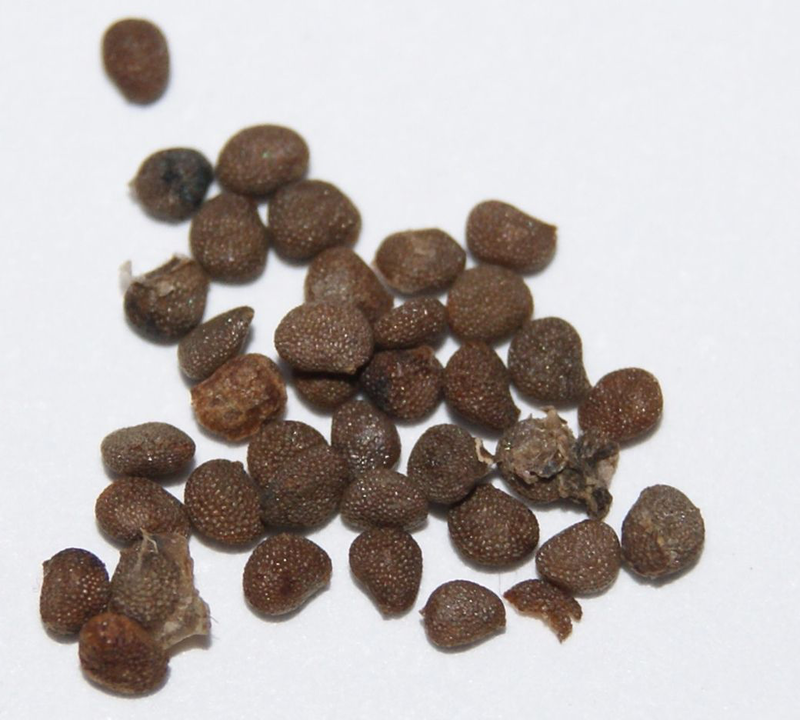 Seed Berry contain hundreds of seeds that look similar to tomato seeds. Plants Parts Used Root, leaves, tops.